Kohala Nursery is the largest producer of Rhapis Excelsa and Kentia Palms in North America. 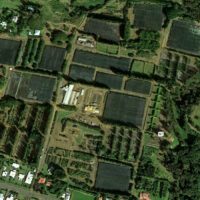 With 45 years of experience and ideal growing conditions, Kohala Nursery produces truly premium quality Hawaiian tropical potted foliage at our 84 acre coqui-free nursery on the Big Island of Hawaii. We are the only Hawaii foliage nursery certified to ship anywhere in North America, including California and Canada. Since its founding in 1973 by Tamo Kitagawa, Kohala Nursery has been synonymous with the highest quality interior plants, known for their durability, beauty, and color. Kohala Nursery produces truly premium quality Hawaiian palms with deep vibrant color and strong root and shoot systems. 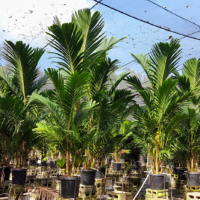 Kohala Nursery’s 84-acre nursery on the beautiful Big Island of Hawaii has the perfect climate and growing conditions to produce superior Hawaiian palms. Our lava rock cinder media provides better water drainage and aeration to root systems, minimal media compaction, and is less prone to fungus, gnats, and disease. Our microclimate and cinder media produce plants with stronger root systems, thicker plant caliper, and fullness that require less maintenance and replacement costs. Kohala Nursery is the largest North American specimen producer of Rhapis, Kentia, & Fishtail Palm with heights available up to 15′ tall. 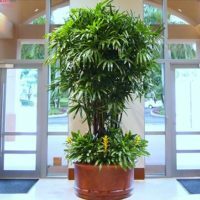 We also just introduced into cultivation the new gorgeous Pinanga Kohala™ Palm! Kohala Nursery is the largest ornamental nursery in Hawaii. Check out photos of our nursery! 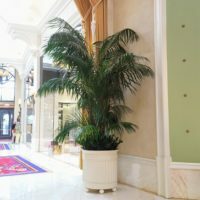 You can find our palms in luxury resorts, shopping centers, restaurants, and offices throughout North America. See some examples here! Kohala Nursery is a wholesale foliage nursery. Please contact one of our distributors for retail sales. Contact us today to inquire about wholesale orders!